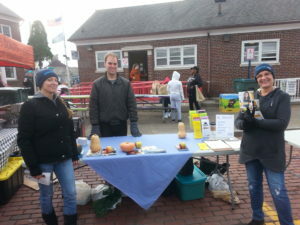 Thanks to Mary, Nolan, and Maxine for tabling at the Public Market Saturday. It was a nice enough day that we didn’t need our new canopy (bought with member dues and donations – thanks!). Thanks to Dave for stopping by to hang out with us for a while. We handed out a stack of flyers and had a lot of fun.